The internet is definetly the place to sell your products and services. But consider everyone knows that. There are millions of sites and billions of pages, with the majority trying to sell something. There are scammers, companies with great service and others who just sell and do not really care about customers. For sure, your competition is there and you need to be online as well. Tier builds customized ecommerce solutions. When your product does not fit a simple definition, or you offer a variety of options, or you want to track inventory and accounting in a certain way you need a system built for you. While we are sold on the idea of custom ecommerce you should at least check out a few prebuilt systems. Shopify, Magento and Big Commerce are major players and offer a wide variety of functionality. Their advantage lies in scope of service and the fact that they are ready to go. Built For You - you will help plan the system. It will follow your business rules and fit your business 100%. Can Be Upgraded - hey things change often. With our system you are in touch with the actual coder. 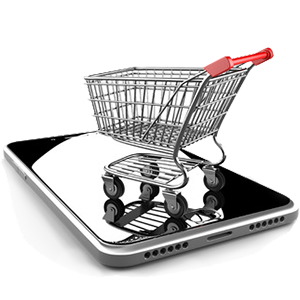 This means there are "bugs" or a business change we can quickly modify the ecommerce engine. Lower Cost Long-Term - with a prebilt system sometimes there is an upfronnt cost; but where they really get you is in the monthly recurring fees. It is not a trick they just have large shops and many many programmers and support staff. Plus as you add more products or enable more features that montly price goes up. With Tier you pay up front, so you know what the cost will be. There are no monthly fees and teh system is totally yours. Of course, if you upgrade there is a cost but this is still up front and one time. Successful ecommerce is not just a catalog and payment system and this is all the big players provide. Tier offers a team dedicated to your success. We know how to achieve high rankings in Google and we are certified AdWords experts. We understand content marketing and social media plus we have several great writers. We constantly analyze your site and make adjustments to improve performance. The Tier team is always there for our clients. So, give us a call to discuss how analytics can impact your marketing efforts. Our initial consultations are complementary and allow you to evaluate us. We look forward to talking.